I’m sure you are very familiar with earphones that are driven by dynamic drivers. It’s very common and we see them everywhere. Meanwhile earphones or IEMs with Balanced Armature are more expensive (most of the time) than earphones with dynamic drivers. 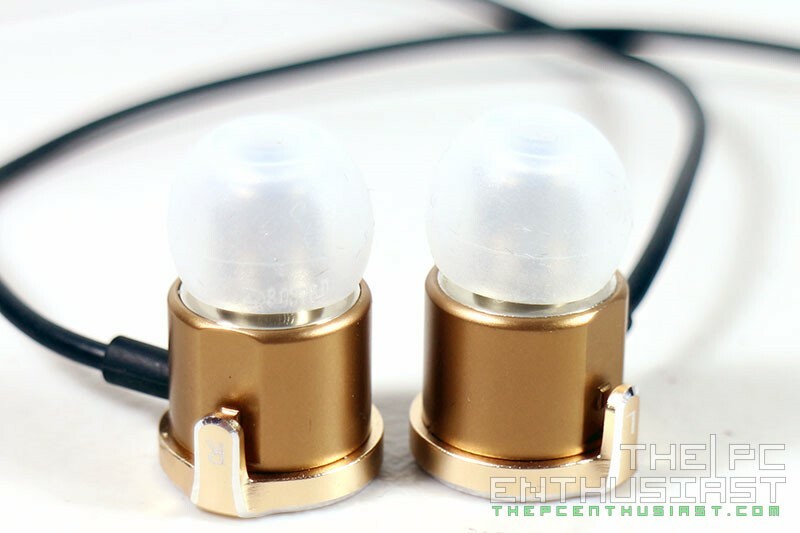 IEMs with BAs for me just sound sonically better than dynamic drivers and they offer a kind of listening experience that I haven’t experienced with dynamic drivers, yet. How about an earphone that has both Balanced Armature and Dynamic drivers? 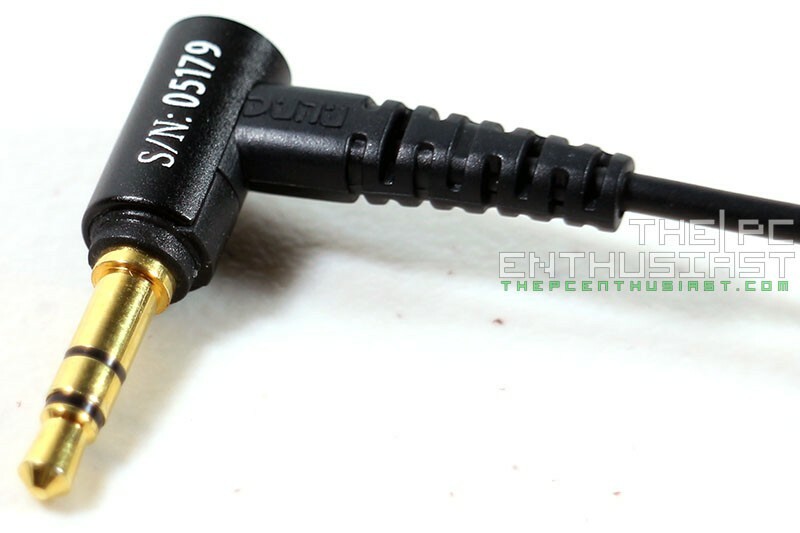 Probably you have encountered or heard at least one or two “Hybrid” earphones before. 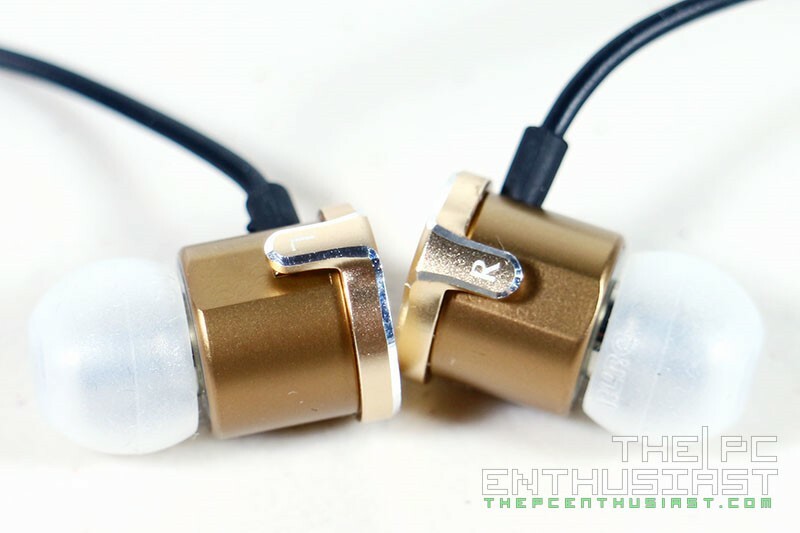 Today we are going to look at and review the DUNU DN-2000 Premium Hybrid In-Ear Earphone, featuring a 3-way driver, two Balanced Armature and 1 Dynamic Driver. One question that would probably cross your mind is that, if BAs are better than dynamic drivers, then why create a Hybrid one? That’s a good question actually. Some music lovers or audiophiles like the sound of bass that a dynamic driver produces. But at the same time they also want the clarity and detail that a Balanced Armature driver produces. Thus, Hybrid earphones are born. So can the DUNU-2000 deliver the type of sound signature and sound quality that you may be looking for? Let’s find out in my review below. 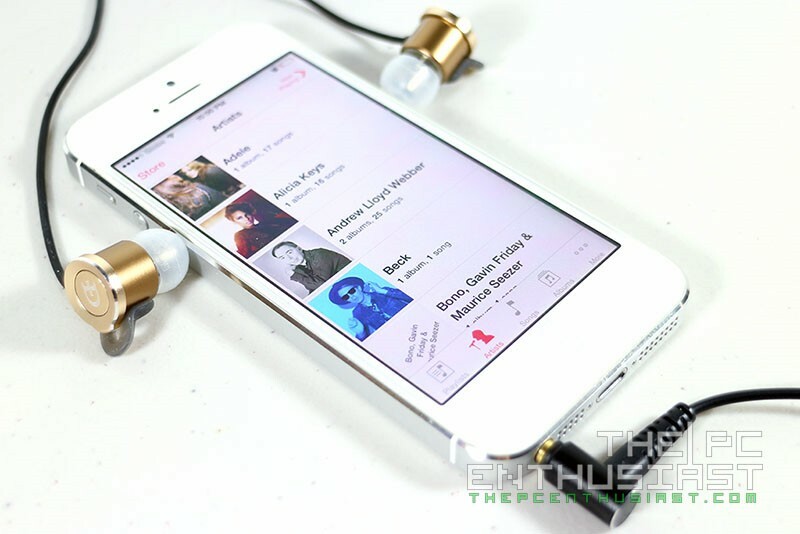 Like I said earlier, the DUNU DN-2000 is a 3-way Hybrid in-ear earphone driven by 2 BAs and 1 dynamic driver. The dynamic driver is custom-made by DUNU while the two BAs are made by Knowles. According to the company, it’s designed for artist and music professional that will suit music of all genres. It features a round, bullet-like metal housing that should be durable enough. It’s able to reduce environmental noise by 26dB and can be used on any digital audio player. It has an impedance of only 16 ohms making it very easy to drive, so no further amplification is really needed for you to enjoy the DUNU-2000. Further, DUNU threw in several accessories that should be able to provide customization when it comes to fit and comfort and sound frequency as well. 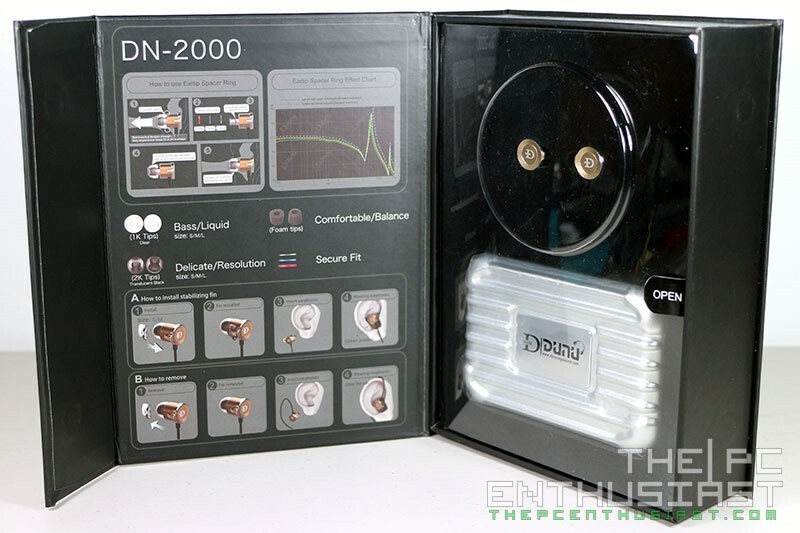 I’ll discus more of its features as we take a closer look on the DN-2000 below. 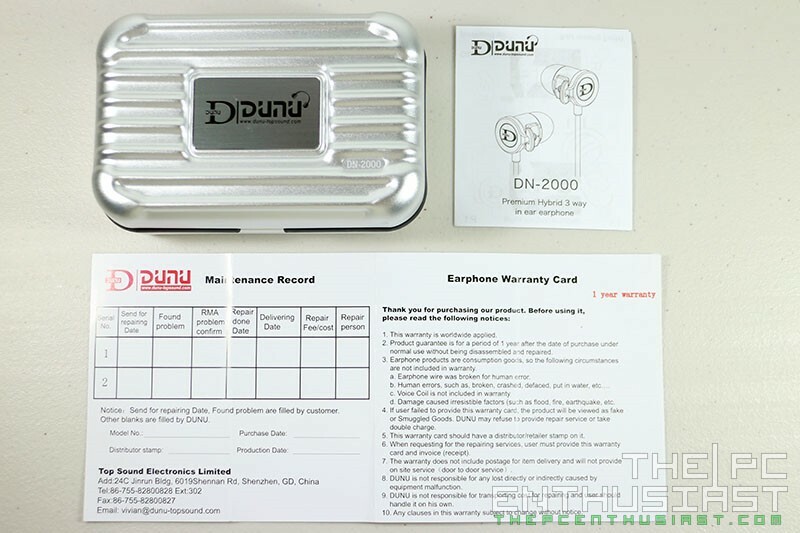 The DUNU DN-2000 comes is a hard uni-body black box. Most of its features are printed on the box, and more from the inside. The box flips open revealing some instructions and guide. 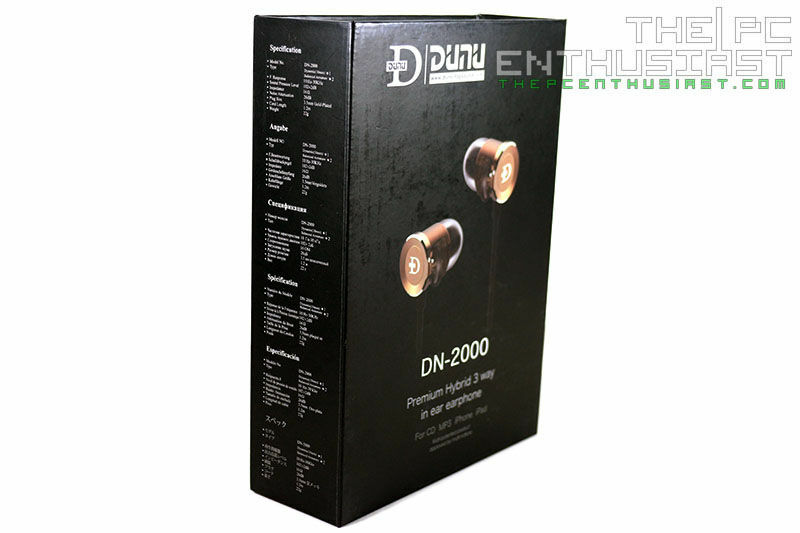 The DN-2000 is worn down right position, like most earphones, but can also be worn where the cables are placed over the ear. The main package is protected with a transparent covering with only the hard carrying case and the faceplate of the DN-2000 are visible. The earphone itself rests on foam with a smooth velvet surface. Overall, the packaging is great and it’s good to know that the earphone won’t be dislodged easily. The package includes a number of accessories, as well as some reading materials. All of these are placed inside the hard casing. Inside you get 1K Bass/Liquid clear tips in small, medium and large sizes. There are also 2K Delicate/Resolution translucent black tips (S, M, L), a pair of medium sized foam tips, and 3 pairs of bi-flange black tips. 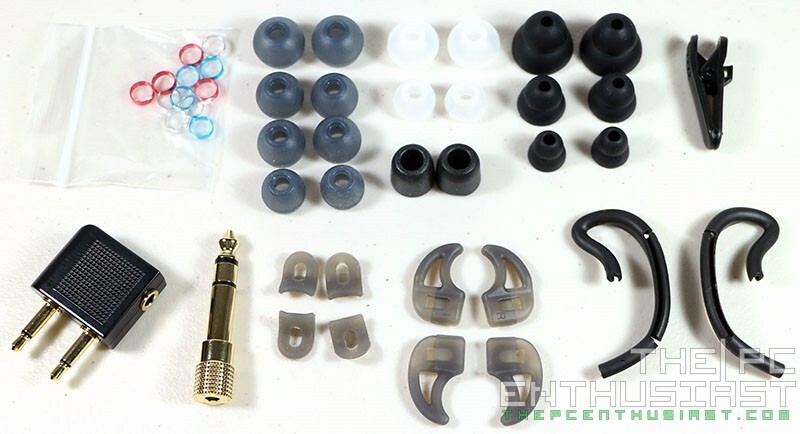 You also get a 3.5mm to 6.3mm adapter, an airplane converter, wire clip, a pair ear hook, and a number of ear spacers secure fit rings. There are also 2 pairs of silicone fins to provide extra comfort and secure the DN-2000 while on your ears. Trust me, without those fins the DN-2000 is uncomfortable to wear since the hooks on the shells somehow irritate the surface of the ear. 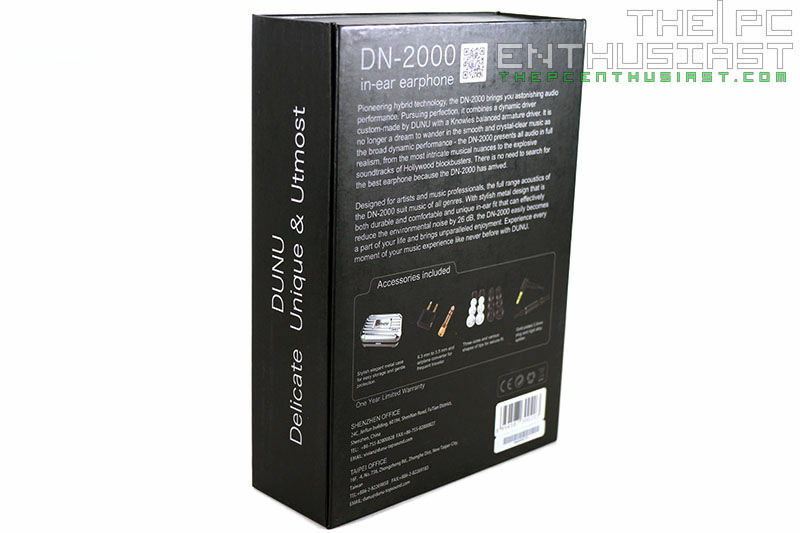 The cable of the DUNU DN-2000 comes with a rubber strap which is non-removable so that you won’t lose it accidentally. 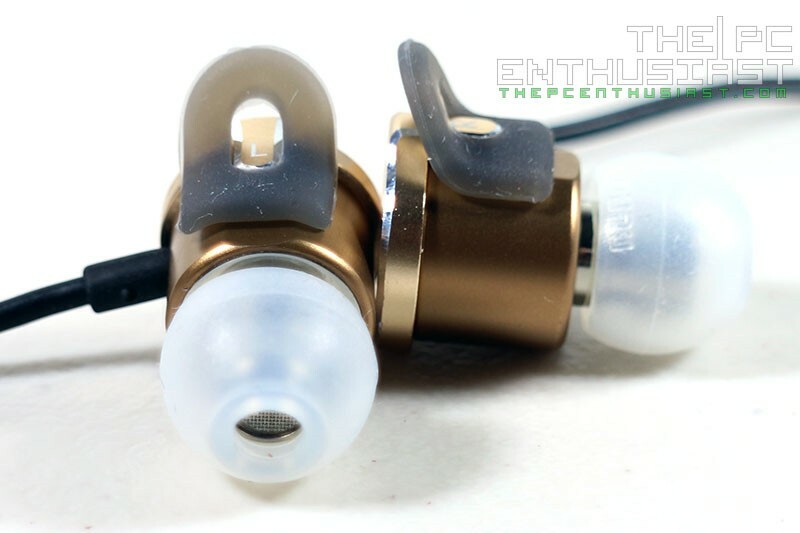 The DUNU DN-2000 features a metal shell with a champagne gold finish which is nice and elegant, but somewhat heavy compared to your typical earphones. 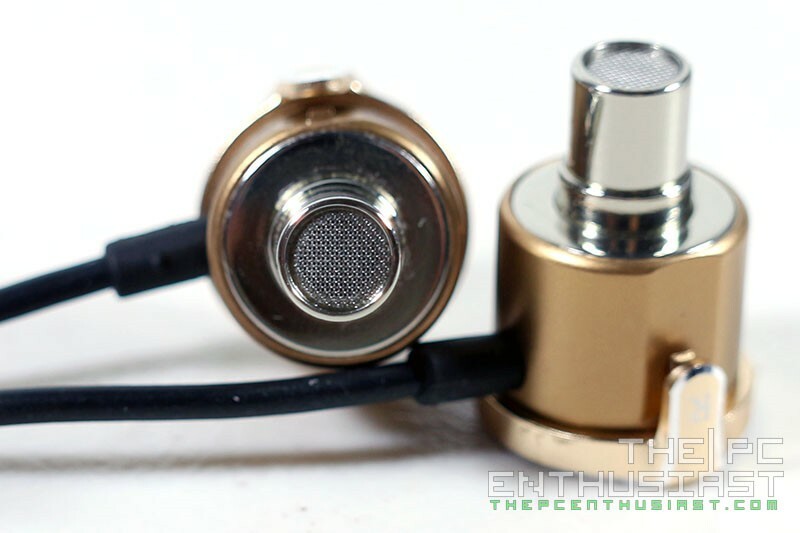 It has a gold plated 3.5mm angled plug that feels sturdy as well. The mid-section where the left and right channel splits also has a metal housing. The shell itself has a barrel or bullet-like design. The nozzles seems a little bit bigger compared to the standard. Good thing DUNU threw in a wide selection of ear tips otherwise it might be hard to find a compatible nozzle match. The nozzle is protected by a layer of metal screen to prevent foreign objects from getting inside the chamber. The colored spacer rings may be inserted in the nozzle to give you that better fit. Unfortunately, I found that I can’t insert some of the spacer rings because the diameter is somehow smaller by a minute measurement, making it very hard or almost impossible to insert the ring on the nozzle. Anyway, I didn’t use the nozzle and it still worked for me just fine. I also used the 1K clear tip because it gave the better fit and seal compared to the rest of the ear tips. Also see those handle or hook on each side of the housing? They could irritate the Concha area when worn hanging without the stabilizing fins, or the Targus when wearing it over the ear. Honestly, without the stabilizing fins I find it somewhat uncomfortable to wear and don’t give me the best fit and seal. I use the smaller fins instead of the larger ones. 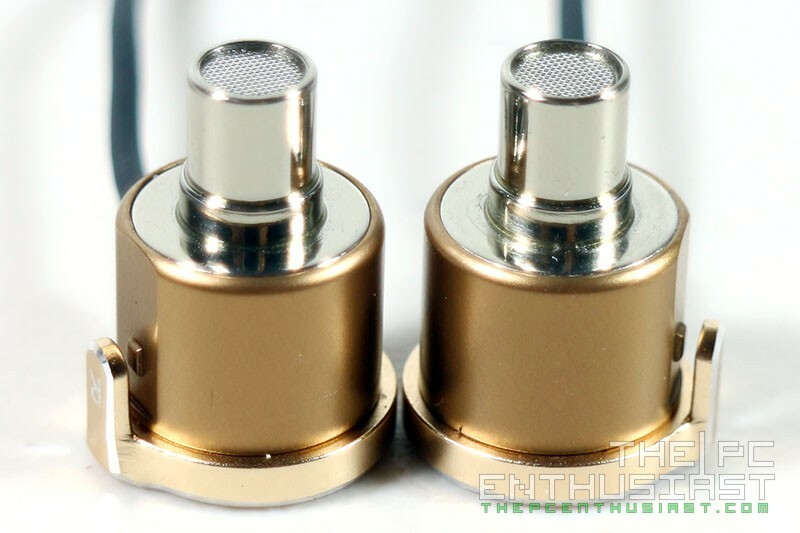 Once you get a pretty good seal, noise isolation should be very good as well. If you think it feels heavier on the ear when wearing straight down, you can use the ear hook included in the accessory so that you can wear it over the ear and that should help with the weight. I tried using the DUNU DN-2000 with several different sources, from the HiFi capable Hidizs AP100, HiFiMAN HM-700 and to what most people would probably have – an iPhone 5. All of them were able to drive the DN-2000 just fine without any problems. I also tried using DAC/AMPs but further amplification wasn’t really needed as it was already good even without additional amplification. However, I was able to take advantage of the iFi Micro iDSD’s additional features; the XBass and 3D surround effect. The XBass somehow boosts the bass a little bit, sometimes almost unnoticeable, but the 3D surround effect did widen its sound staging more. Although I find it really unnecessary most of the time since the DN-2000 already has a good sound staging and depth. Let’s start with the bass; the lows are good and very capable. It has a decent amount of impact without being boomy or too powerful. Bassheads or bass lovers may find the bass in the DN-2000 too weak or lacking. The bass sounds realistic and natural most of the time and doesn’t over power the mids or highs at all. I’ve heard that the bass in the DN-1000 is more powerful and impactful; however I haven’t tried them personally so I cannot comment regarding that matter. When it comes to mids, I think this is where the DUNU-2000 would truly shine. The mid frequency is already handled by one of its balanced armature, and it really sounds great. It’s somewhat airy but I can tell that it’s not laid back, veiled and doesn’t sound analytical. It’s very detailed, clear and offers a certain amount crispness giving it a sweet overall tonality. 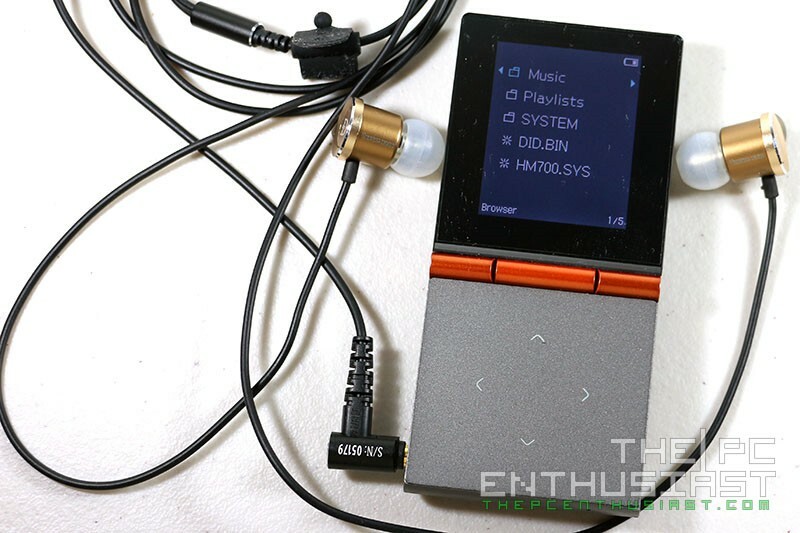 Compared to the Audio Technica ATH-IM02, the DN-2000 is more fun and never fatiguing. I think the mids is somewhat on par with my Heir Audio 3.Ai s, and probably better than the mids in the UE 900s. The highs on the DUNU DN-2000 are not rolled off, but I don’t think it’s well extended either. There are tracks where sibilance is almost observable but not crossing the boundary. So I was happy to find out that I can use the DN-2000 from one genre to another without worrying that it will hurt my ears at a certain point of the music. It’s also not too bright and has that good amount of sparkle and detail on it. Compared to the Heir Audio 3.Ai S, I think the 3. Ai S is further extended and there are tracks were sibilance is already observable. That’s why I don’t want to use the 3. Ai S when listening to Metallica. But I can safely listen to Metallica with the DN-2000. The DUNU DN-2000 is also great for listening to classical music or orchestras. Sound staging is good and the instruments are well separated from one another. I’ve been listening to Hans Zimmer’s Drink Up Me Hearties (from Pirates of the Caribbean) and it was simply a very pleasant experience. The instruments are very much distinguishable and at the same time I enjoyed the roundness of the bass that it delivered. 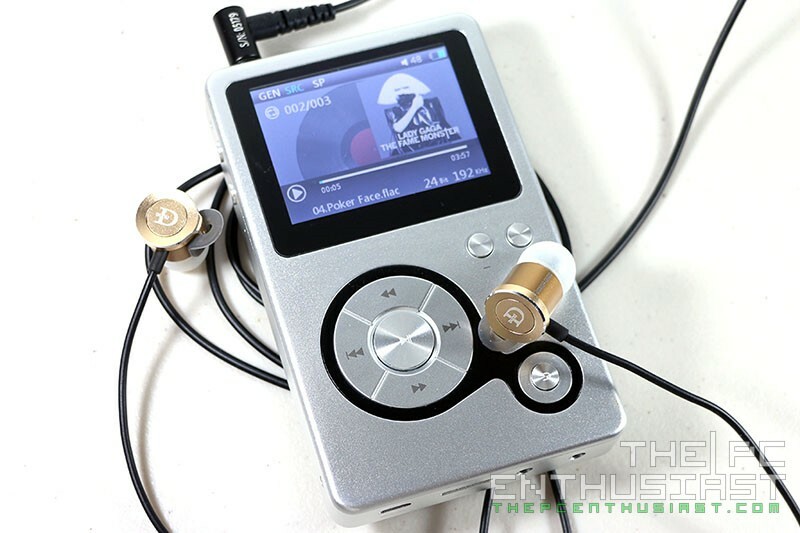 The DUNU DN-2000 is now available and comes with a retail price of $279 at the time I posted this review. Retail prices actually vary from one seller to another or from one country to another. But more or less it’s a sub $300 hybrid in-ear earphone. 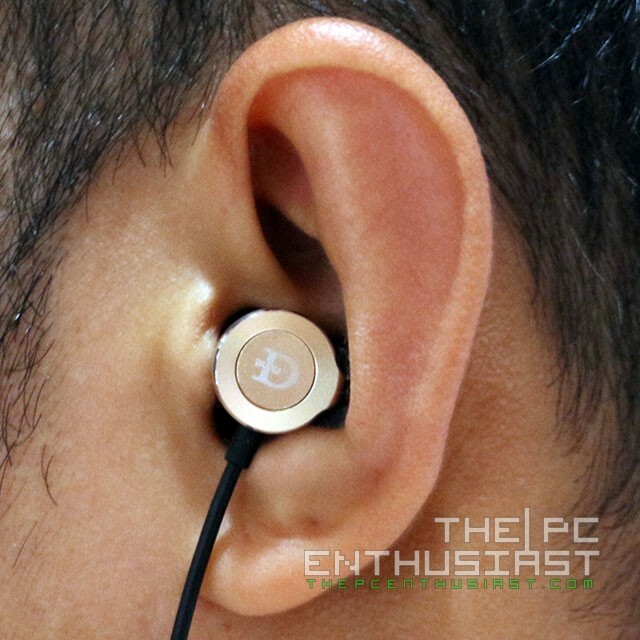 DUNU is offering a limited 1 year warranty with this earphone. When it comes to sound quality and my experience when I listened to my favorite music, the DUNU DN-2000 didn’t disappoint me. DUNU was able to combine both a dynamic driver and two Balanced Armature drivers flawlessly; resulting in a sweet, immersive and engaging listening experience. However, I think that there are some areas that still need improvements. It’s true that it has a great and solid build quality, but I notice some issues. The hook on the side of its housing can be irritating without the stabilizing fins. It would also be difficult to get a good seal and fit without the fins. So be very careful not to lose those stabilizing fins. Also some of the spacer rings cannot be inserted in the nozzle and they tend to get lost easily. Finally I really think that DUNU should consider using a removable cable for their earphones at this price range. It’s very hard to repair or replace a damaged cable or when you start to get loose contacts somewhere in the line. It would be great if cables are removable and replaceable. Other than some of the minor issues I mention above, there is nothing not to like about the DUNU DN-2000. Yes it is indeed a bit pricey compared to your typical earphone, but I can say that its sound quality and performance is far better than the iPhone’s stock earphones. 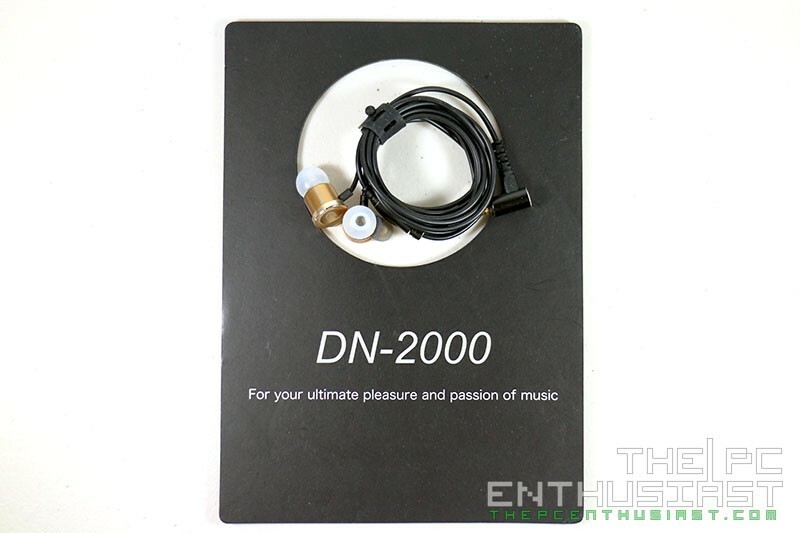 I find no reason why I should not recommend the DN-2000 specially for those who are looking for a better sounding earphone and who wants to enjoy their music more.